Let's face it: we are afraid. Our world is riddled with fear-inducing headlines, financial meltdowns, family crises, and phobias of every stripe. No wonder the New York Times now reports one in ten Americans is now taking antidepressant or anxiety medication. So how do we cope or even succeed in a world spinning out of control? As someone who has battled panic attacks and anxiety most of his life, Lance Hahn can relate. In How to Live in Fear, Lance tackles the pervasive problem of fear and panic head-on by inviting readers into his world. In this genuine and practical book, he invites readers into the life of a pastor living with anxiety disorder. Through humorous personal stories--like losing it on an airplane or collapsing onstage as he is about to preach--Lance will win over readers with his transparency. He will also share the remedies that have helped him recover and overcome throughout the years. 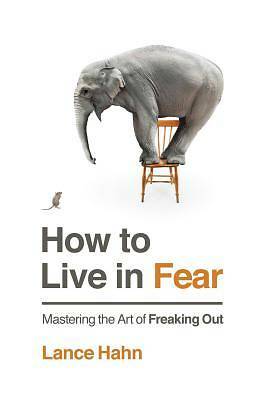 Filled with practical tips and advice, and full of relevant scriptures, How to Live in Fear gives readers the tools to relax in the face of fear--real or imagined. Lance will show readers that while he may still encounter bouts of panic, he has never let his disorder stop him from living a full life.